Today, there is more choice than ever when it comes to exercise and workout equipment. One of the more modern ways to exercise is with a weighted vest. These weight vests are designed to be worn over the torso. They add extra weight onto the body to provide resistance when working out. They are an aid to resistance training and improve the wearer’s power by building mass and strength thus enhancing their performance potential. If you are a lady, you may have found it difficult to find one designed to fit a female. While there are versions aimed at men, it makes sense to choose one that has been specifically made for women, since the weight distribution will have been designed to suit the female form. Wearing a female weight vest also helps to avoid the problem of the body adapting to particular movements over time, offering a variation tool which enables the body to benefit from an unconventional method of exercise for an additional boost. They not only help with resistance training but they can also help with cardiovascular workouts too. In this article, we look at choosing a women’s weight vest including what to look out for as well as review some of the best products on the market today. Hyper wear Unisex Vest Click For Hyperwear Vest Price Best overall. Extremely comfortable to wear and looks great too. MiR Womens Vest Click For MiR Vest Price Designed exclusively for ladies. Has a very secure fit and plenty of storage. 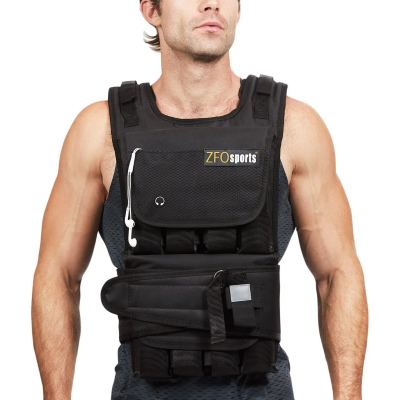 ZFO Sports Vest Click For ZFO Sports Vest Price Easily adjustable weights and a snug fit. Tone Fitness Female Vest Click For Tone Fitness Vest Price Created for females with sand weights and reflective strips. RUNFast Vest Click For RUNFast VEst Price Very adjustable for a wide range of body types. The Hyperwear Hyper Vest PRO is a unisex weight vest which is suited to a range of shapes and sizes due to its highly adjustable laced side panels. Although it comes complete with 10lb weights, this vest is capable of taking extra capacity, and the weights can also be adjusted to different configurations for better comfort. With a comfortable and unrestrictive fit, this vest is suited to a wide range of workout activities such as walking, running, basketball or plyometrics. This female weighted vest has been created from a patented design and uses a patented fabric for a professional grade performance. It comes supplied with ten pounds of steel high-density weights and also allows for adjustments with enough capacity to take extra weights should they be required. This vest boasts a slim profile to allow for a complete range of motion, thus facilitating all kinds of workouts, freeing up the arms. The stretch fabric is comfortable to wear while also being cool thanks to its moisture wicking properties and material, compared to other vests. The material is also resistant to odors so it can be worn without any concerns about sweat and bacteria, while its open sides ensure excellent airflow and ventilation to guard against the chafing and rubbing which can occur due to moisture. The side lacing allows the fit to be adjusted easily to accommodate different body shapes, making this vest an excellent choice for a broad spectrum of users. A quality weighted vest which is suitable for ladies and comes complete with a large set of weights which can be adjusted up to 60 pounds for an effective workout. With its durable construction and heavy-duty fabric, this strong vest is comfortable to wear while also being breathable for reduced sweating. It can also be adjusted for better comfort for the wearer. This product is also covered by a manufacturer’s warranty for the buyer’s peace of mind. Measuring just 11 inches in length, the compact size of this vest ensures a snug and comfortable fit, without pressing against the stomach during workouts. It comes complete with weights in two different options. Option one is up to 60 pounds while option two is up to 90 pounds for the most effective resistance workout. This vest is only available in one size. However, it has been designed to fit the majority of wearers, featuring adjustable straps which are able to be adjusted underneath to alter the vest’s body length to accommodate both shorter and taller wearers. These adjustments are made quickly and easily by simply sliding the straps through the attached D rings. The weights are designed to be removable and can be adjusted in increments of 3 pounds to make it easier than ever to either increase or reduce the resistance of your workout. As an added bonus, the weights have been designed to be higher on the torso in order to improve comfort for the lower body while running. The fabric of the vest is 1200D heavy duty reinforced nylon which is strong and durable, and the shoulders have been double padded and contoured to the shoulder in order to improve comfort. There is also a mesh vented interior for optimal breathability and moisture wicking to reduce the discomfort experienced due to sweating. The ZFOsports weighted vest comes with 40lb weights for an excellent resistance workout, whatever your exercise type. Designed to fit snugly to the body, it is fully adjustable and is a good choice for people who are just starting out with resistance training. Although only available in one size, it has been designed to fit the majority of wearers thanks to its Velcro belt fastening, and it comes with some excellent premium features which offer impressive value for money. The ZFOsports vest has been designed with a contoured fit that stays snug to the body even when performing rigorous workouts. Designed to be completely adjustable, it has a unisex design and represents an excellent choice for anyone who is a newcomer to weighted vests and who are looking for an affordable and reliable product. The tight-fitting shape fastens tightly to the torso in order to eliminate any shifting of the weights while undertaking activities. This shape makes it perfect for running, power walking, vertical jumps or lateral drills. It is quick and easy to adjust the weights by simply removing or adding the individual weighted bags until you have reached your desired weight. 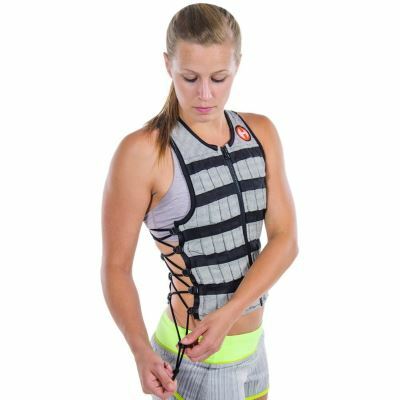 The Velcro belt which is attached to the vest makes it easy to obtain the perfect fit for the individual wearer while ensuring that it remains secure throughout the workout. The additional premium features include a water bottle holder suitable for containers sized at 16 ounces or smaller and a pocket that is perfect for holding a smartphone or music player. Anyone who is looking for a weight vest to add a little extra resistance to a workout without risking going over the top with heavy weights which could cause a potential injury from overstressing the joints, this product is the ideal choice. Designed to add additional strength training to any type of workout such as running, yoga, kick-boxing or walking, this vest comes complete with some excellent features to improve functionality and safety. Although it comes in just one size, it has been designed so that it can accommodate most physiques and features a strong and durable construction for a long lifespan. This strong and durable weight vest for women has been made from a soft neoprene fabric to add additional comfort to your workout. Its single-size design is capable of accommodating a broad range of heights and body shapes due to its adjustable fastening, while the weights are made from sand which will never rust or deteriorate over time. 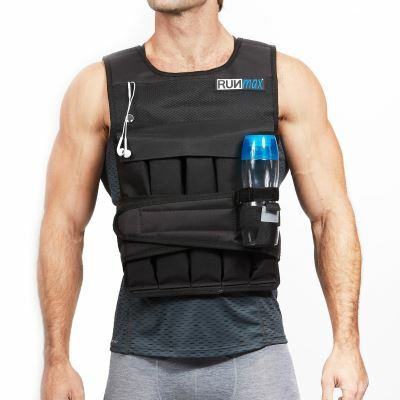 This vest comes with a fixed amount of weight (12 lbs) already installed inside the vest, and the weights cannot be added, removed or adjusted, which is the main downside to this product. 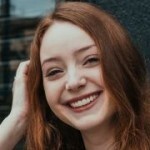 However 12 pounds is a good amount of weight for many users, and its design means that the weight is worn on the back rather than the front, eliminating any potential issues with additional weight around the stomach or chest area. There is also a convenient pocket attached to the straps which can hold a smartphone or MP3 player while working out as an additional bonus, although this pocket can be removed to suit the wearer’s preference. This vest also features reflective strips to improve the wearer’s safety when running or walking in poor lighting conditions. The RUNFast/Max adjustable weighted vest is available in two versions, one which has a maximum weight capacity of 80 lbs and one which holds a maximum of 140 lbs of weight. It is also possible to purchase further weights at a later date to continue to enhance your exercise regime as you become fitter. This versatile, good value for money weight vest is ideal for use while cross training or strength training and comes in a one size design that can accommodate most shapes and sizes of the wearer. This product is protected by a manufacturer’s warranty for the buyer’s peace of mind. This well designed, versatile weight vest can be easily adjusted to accommodate a range of weights in order to improve your resistance and strength training exercise regime. The pockets can either be left empty or filled with weights to add or reduce the amount of weight in the vest, with the minimum amount of weight being 12 lbs. As the weights can be removed from the pockets, it is possible to reposition them for better weight distribution. and to improve comfort for the wearer depending on their needs and the type of exercise that they are doing. There is also a version of this product available which features shoulder pads for additional comfort. The durable straps have been designed to withstand even heavy duty use. However, this vest fits better on users who are of average height or above, since the torso may be too long and the fit may be too separated for anyone with a smaller frame. If you make the right choice of weight vest to suit your individual needs, you can add an extra dimension to your workout and improve your fitness level exponentially. Whether you are new to resistance training or whether you are looking to take your existing regime to the next level, you are sure to feel the benefit of using this useful piece of exercise equipment. The quality of your weight vest is probably the most important factor to bear in mind when choosing a product. You don’t want to choose a vest that will break before you’ve got plenty of use out of it, so you should always ensure that the vest you’re choosing is capable of standing up to the rigors of a serious workout. Check which material has been used to make the outside of the vest and that it is both tear and sweat resistant. This is because sweat causes bacterial build up on the fabric which is then transferred back to the skin, getting into the open pores and causing irritation. You should also check that the weights have been made from either neoprene or a coated metal to protect them from rust. 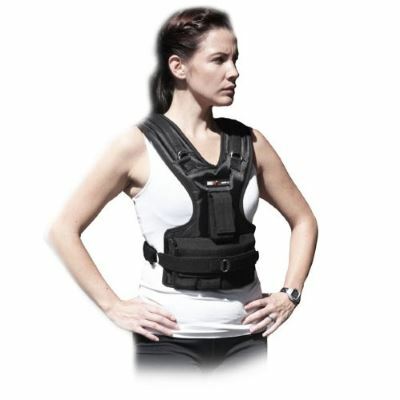 If you want to get the best benefit from your ladies weighted vest, you need it to be adjustable. If you can add or reduce the weights in it, that can be very beneficial for your workout regime. You may want to reduce the weights for one form of exercise, but then add extra for another. Being able to accomplish this will make your vest better value for money. Also, consider how quickly and easily weights can be added or removed as this can have a significant impact on the effectiveness of your workout. What kind of accessories can you add to your chosen vest? Is there a pouch to hold your music player, phone or gloves? Does it have a sweat-resistant sleeve to fit under it? Does it have a reflective strip for better safety if running at night? Is it available in a choice of colors? These features can add to the versatility of your weight vest. You should always consider how well the vest fits you and whether it feels comfortable when worn. While you may not place a high value on the comfort of your workout gear, a proper fit is essential to allow you to focus on the workout. You must check how much your chosen vest weighs on its own and the amount of weight which is supplied with it. Take care that you don’t overestimate the amount of weight you can handle and make the mistake of purchasing a vest which is too heavy for you. You should also ensure that the weights are distributed evenly or can be repositioned in order to adjust for balance and comfort. You should also make sure you are choosing a vest which suits your fitness level – choose one that is too light, and your workout will be of no benefit, but choose one which is too heavy, and you might injure yourself.